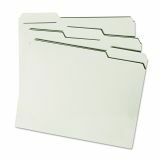 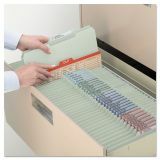 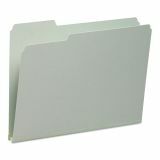 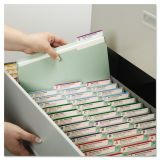 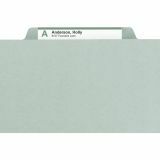 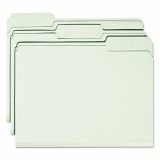 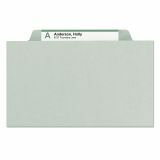 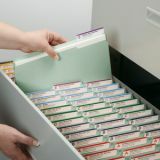 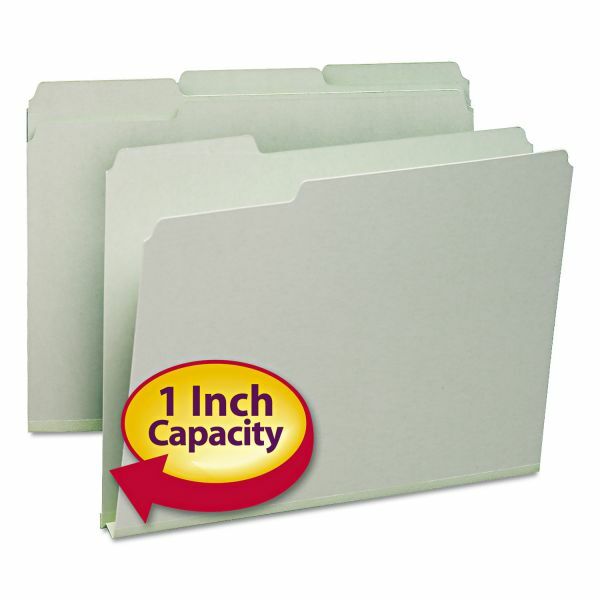 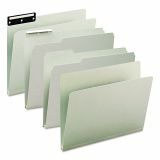 Smead Pressboard File Folders, 1" Exp, 1/3-Cut Top Tab, Letter, Gy-Gn, 25/Box - Use these gray, heavy-duty pressboard folders for bulky, heavily used files. 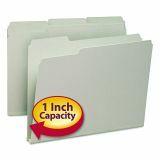 Tyvek accordion-pleat gusset with double-thickness expands 1 to accommodate your bulkiest files. 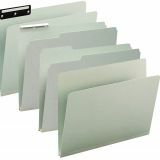 25 point pressboard resists wear and tear. 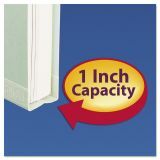 1/2" high tabs are in assorted 1/3 cut positions. 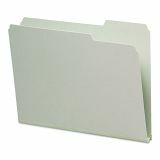 Folders offer high percentage of recycled content.